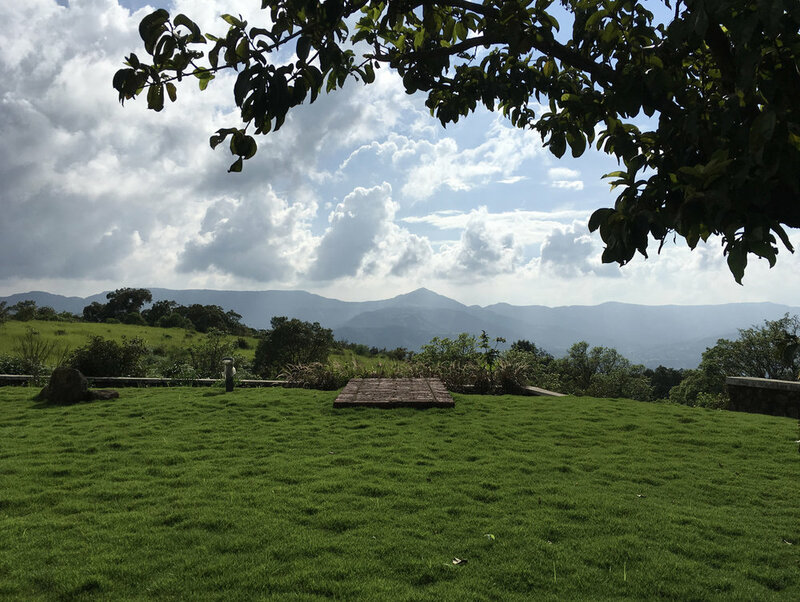 The site lies on a plateau nestled between a steep hill and a deep valley, at Kalamgaon, Mahabaleshwar. The natural forest had been converted to agricultural land to grow strawberries, wheat and other crops over the last 20 years. With the arrival of a new owner, and the creation of a weekend home, the highly denuded site was programmed into a series of outdoor experiences. A planted forest of native trees of Mahabaleshwar-Kalamgaon forest zone forms the arrival area. This leads to a series of terraces comprising of orchards and cultivated land, all experienced through a stroll. 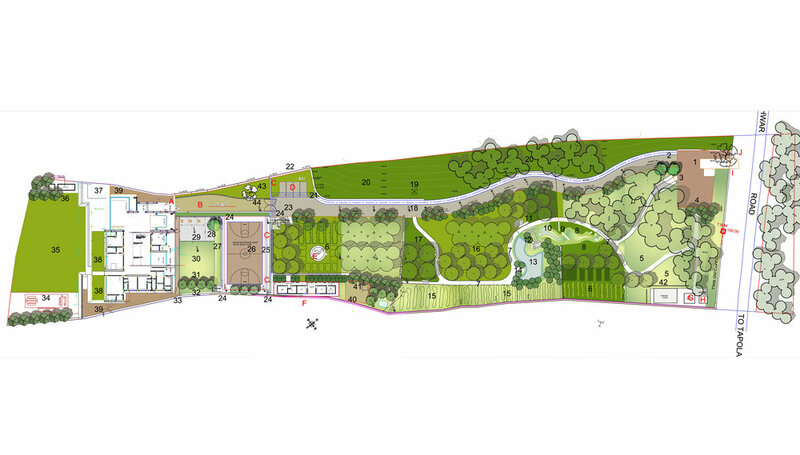 The landscape design illustrates a garden-like character in the immediate vicinity of the farmhouse, elsewhere it blends with the natural environs. The experience culminates in views of the surrounding valleys. Outdoor spaces on the rear of the house extend into undulating lawns which extend visually into the surrounding landscape, devoid of high boundary walls.